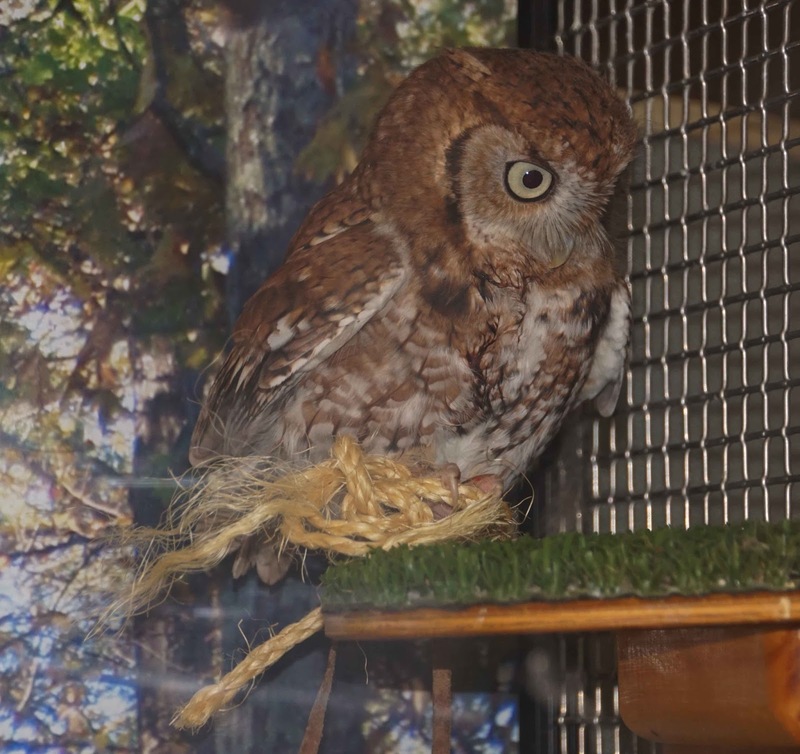 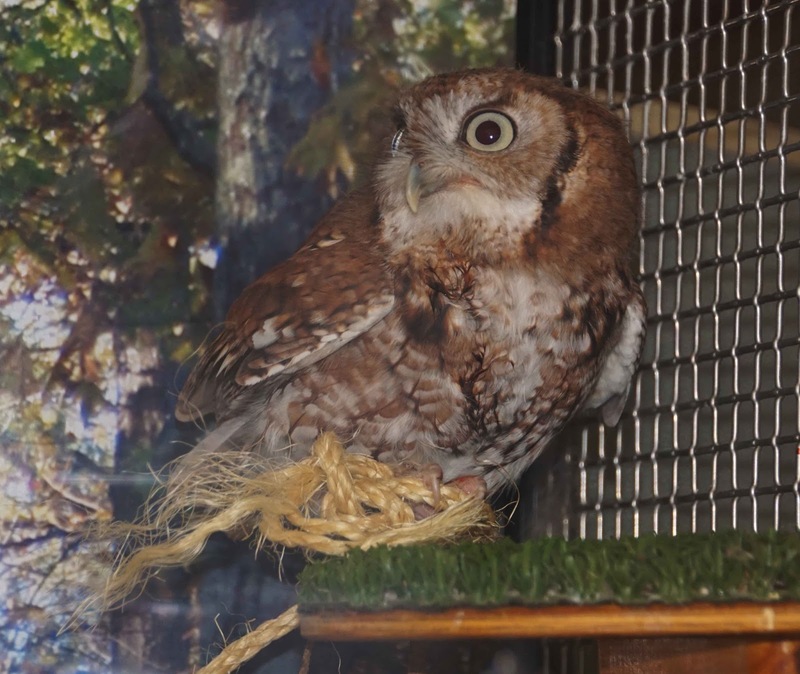 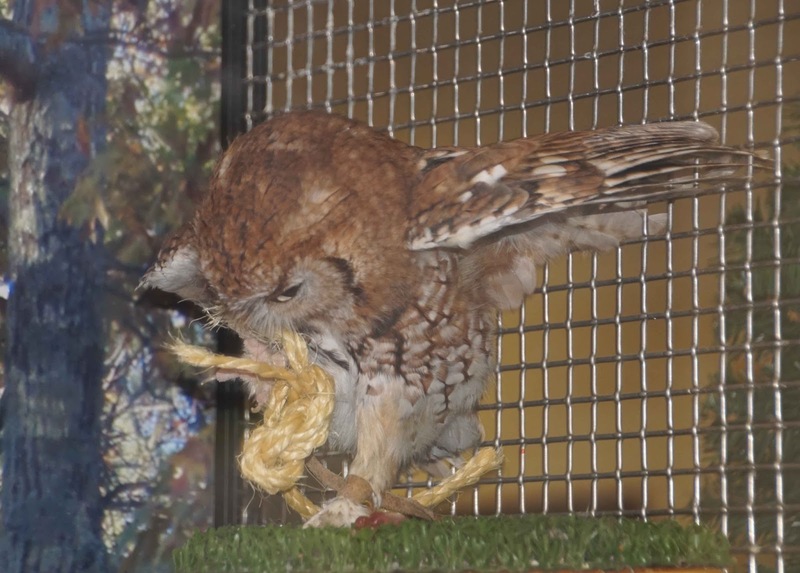 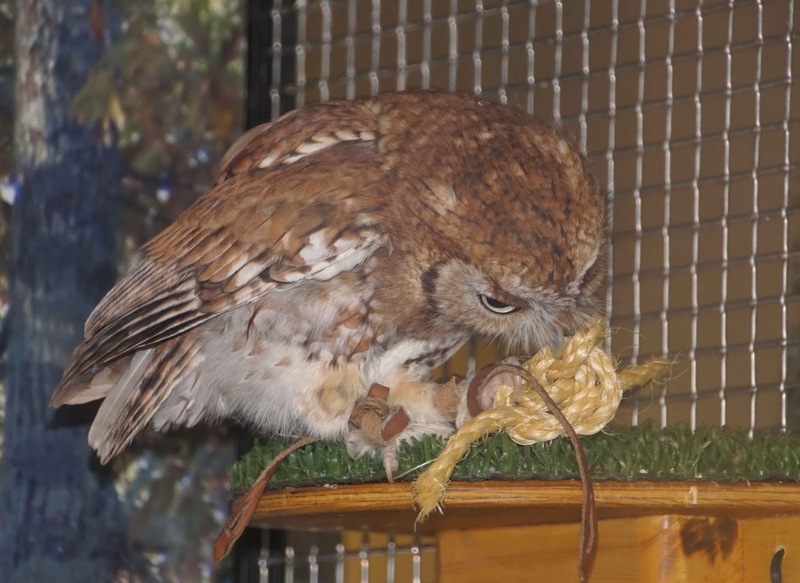 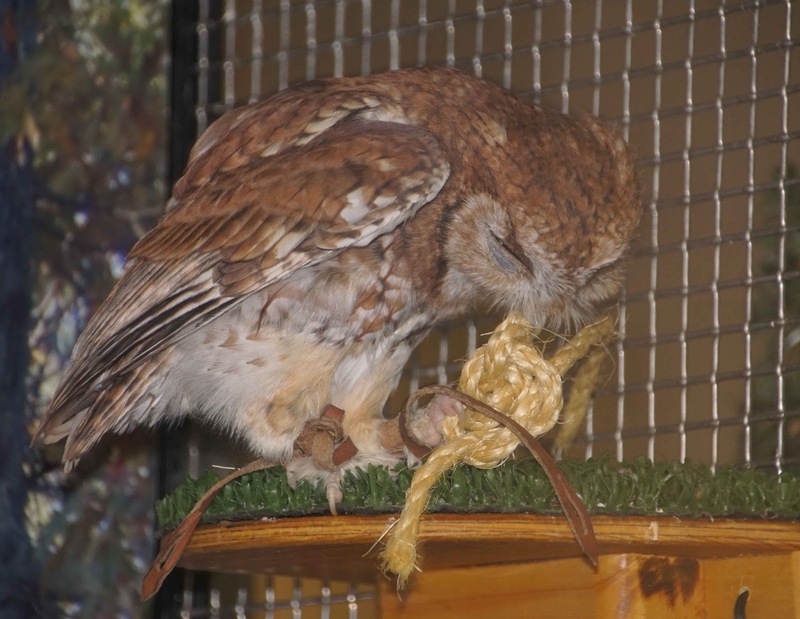 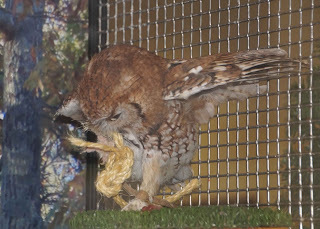 Mestaae, TRC’s education Eastern screech-owl, had the opportunity to practice her “prey-grabbing” skills recently. 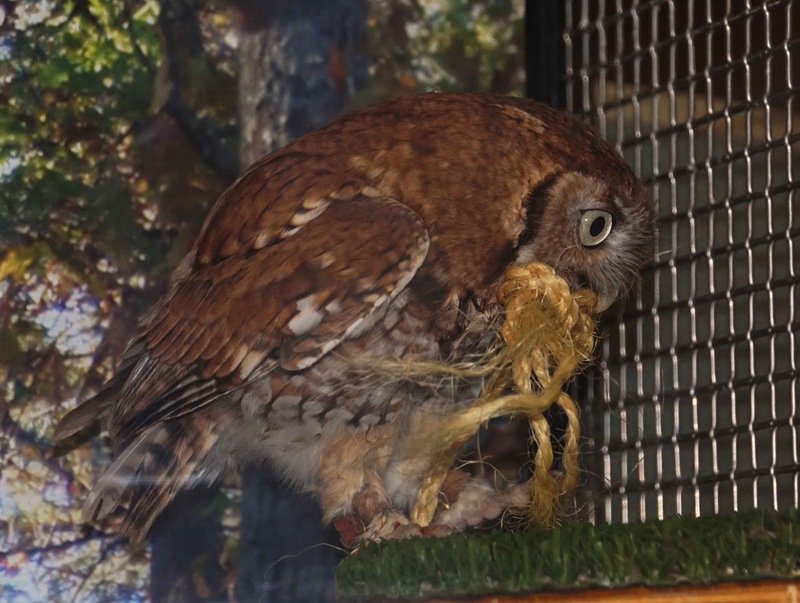 Though the education birds at TRC do not have to secure their own prey “meals” as do their wild cousins, it is still important to keep their minds and bodies active. 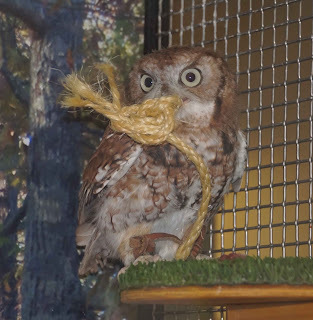 An enrichment toy - in this case, a small, knotted coil of the natural fiber rope used on their perches - was given to Mestaae. 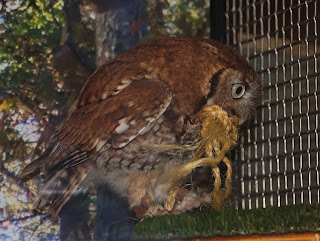 Over the course of a couple of days, she manipulated it with her feet and beak, much as she would if it were a mouse or other prey item. 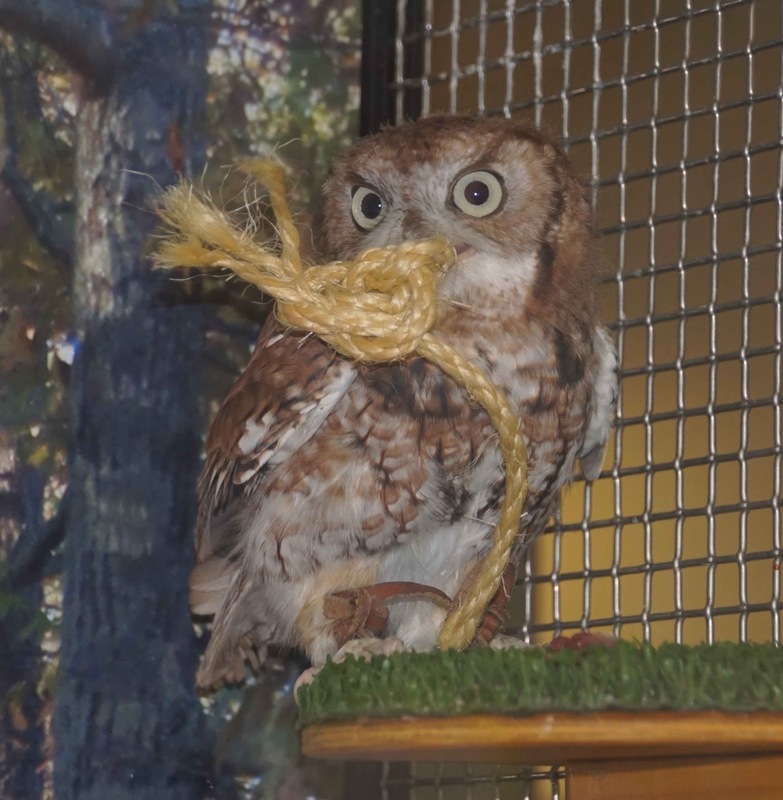 It took training to help Mestaae be comfortable with the enrichment toy. 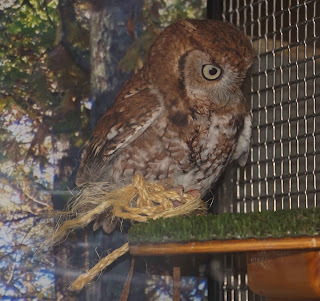 There is always learning happening at TRC – for the birds, as well as the public!